Take the Keep the Road Code pledge and commit to being a focused, responsible driver. But rates from a 2015 report were more than 12-percent higher than in 2007, when the iPhone was launched and the smartphone boom began. By the end of 2009 more than 170 million smartphones were sold world-wide, nearly 10-times the number sold in 2007. Even as an economic recession reduced the number of miles driven, U.S. insurance rates began to rise. In 2010 auto insurance rates rose for the first time in six years and they've continued climbing every year since. 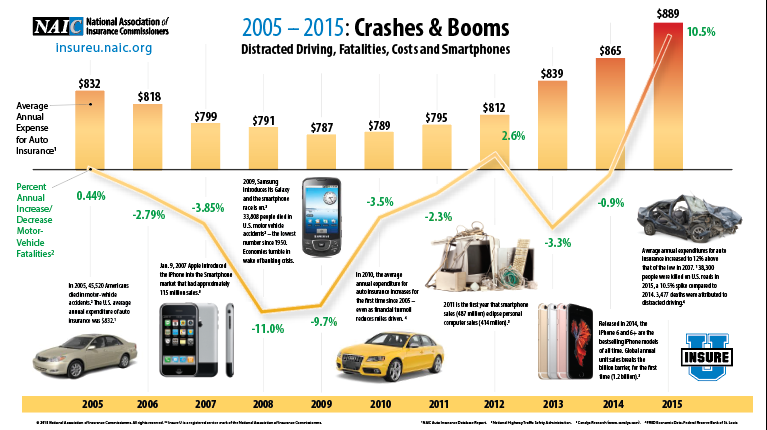 While smartphones and mobile devices are a big risk, they aren't the only distractions. 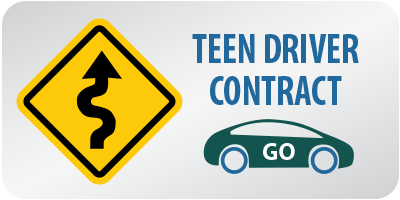 State laws limiting or prohibiting passengers in cars driven by young drivers affirm the risk they can pose as distractors. That is why it is important, regardless of the driver's age, for passengers to partner with drivers to reach their destination safely. Speak up if a driver is doing anything to put you at risk. Take control of the driver's phone, radio or climate control dials and be sure the driver is attentive, focused and alert. Never let a friend drive after drinking alcohol or taking drugs. And always buckle up. Are "Smart" Cars Creating Careless Drivers? Vehicles today come with an array of electronic safety features. From proximity and blind-spot warning systems, to adaptive or "smart" cruise-control and self-braking, they offer useful safety tools. But even today's most advanced semi-autonomous vehicle comes with a learning curve and a dizzying assortment of knobs, touch-screens, warning sounds, driver assist modes, camera views, navigation, and the list goes on. Drivers with the best intentions, dependent on the tech in their cars, find themselves ill-equipped to handle a rental or borrowed car. Today's vehicles are good and getting better, but only when the driver is focused and committed to safety. Start sober. Don't get behind the wheel impaired — whether it's due to exhaustion, medicine, alcohol or recreational drugs. Drunk/impaired drivers are responsible for approximately 10,000 fatalities a year. Plan your route, and set your map or navigation tech. Don't touch it again until after reaching your destination. Ask passengers to help you stay focused on everybody's safety. In 2017, Apple's iPhone introduced the "Do Not Disturb While Driving" safety setting. The option detects a car's motion, silences the ringer and prevents owners from receiving messages while driving. It also lets their contacts know that they're occupied. 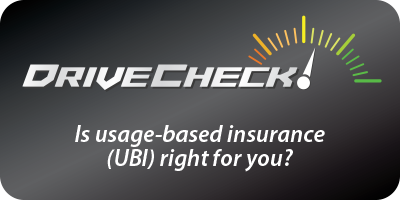 UBI is an innovation by auto insurers designed to better align driving behaviors with premium rates for auto insurance. Mileage and behavior-based measures are tracked using odometer readings or in-vehicle telecommunication devices (telematics). The basic idea of telematics auto insurance is that a driver's behavior is monitored directly while the vehicle is in use. These telematics devices measure a number of elements of interest to underwriters: miles driven; time of day; where the vehicle is driven (GPS); rapid acceleration; hard braking; hard cornering; and air bag deployment. The level of data collected generally reflects the technology employed and the policyholders' willingness to share personal data. The insurance company then assesses the data and charges insurance premiums accordingly. 3 Wall Street Journal: Smartphone Addicts Behind the Wheel Drive Car Insurance Rates Higher. 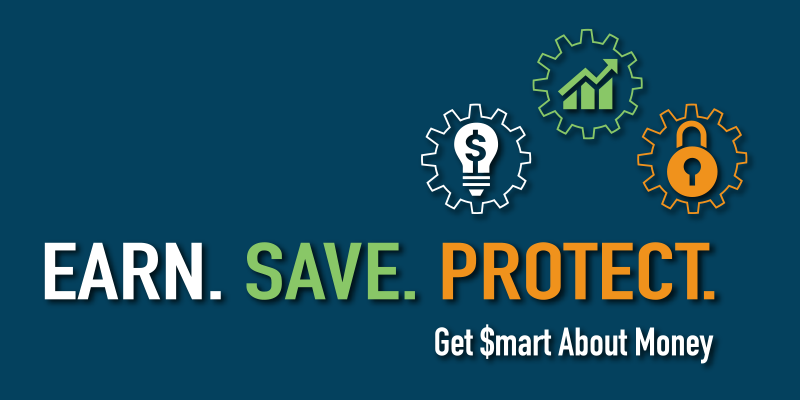 American Academy of Actuaries: Auto Insurance in the 21st Century.